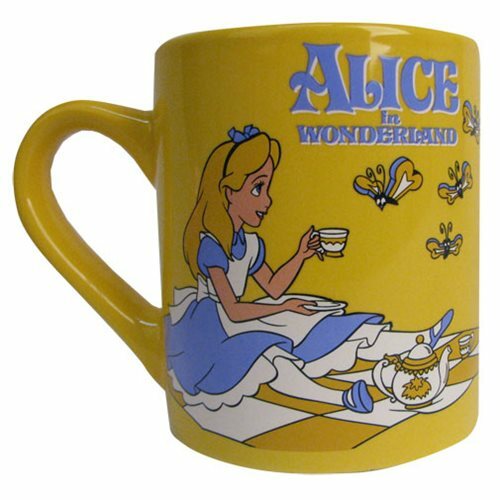 Shopping for Alice in Wonderland Mugs? Celebrate Alice and her adventures in Wonderland! This Disney Alice in Wonderland Butterflies 14 oz. Cermic Mug is yellow, and features Alice Liddle as she sits on her blanket and enjoys some tea with the butterflies. Mug holds up to 14 ounces of liquid. Hand wash only. Not dishwasher safe. Do not microwave. Measures approximately 4-inches tall. Ages 14 and up.